Build diary – 5A. Progress continues! Pulling the motor out of the car was definitely a good feeling. 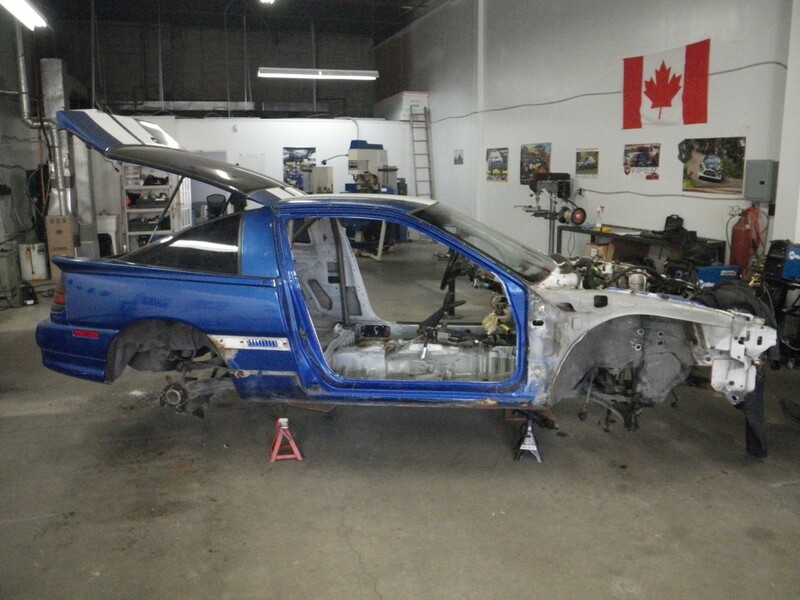 Also getting the wiring harness, front suspension, and exhaust off was bonus and tough to beat. So we didn’t. Instead, on Saturday we went and got Jeep parts, enjoyed the BBQ at Rally/Race and talked about working on the car with lots of people. Talking about working on cars is more fun than actually working on cars but eventually we got down to it and pulled the transmission off the motor, built the motor a cradle, and loaded it into the Jeep. We also got the rear suspension out, which you’d think would be a 20 minute job…except that one side was totally seized on – breaker bar wouldn’t budge it, impact gun and lots of liquid wrench wouldn’t budge it so we had to employ heat plus impact gun and even then the shock wouldn’t come off the pin – whacking it with a rubber mallet made no noticeable difference it so we resorted to the ball peen hammer. After bending it completely out of shape we finally got it off. Stuff like that just kills your productivity but you know it’s going to happen – you just don’t know which bit will be like that. So now it’s everybody’s favourite – picture time! 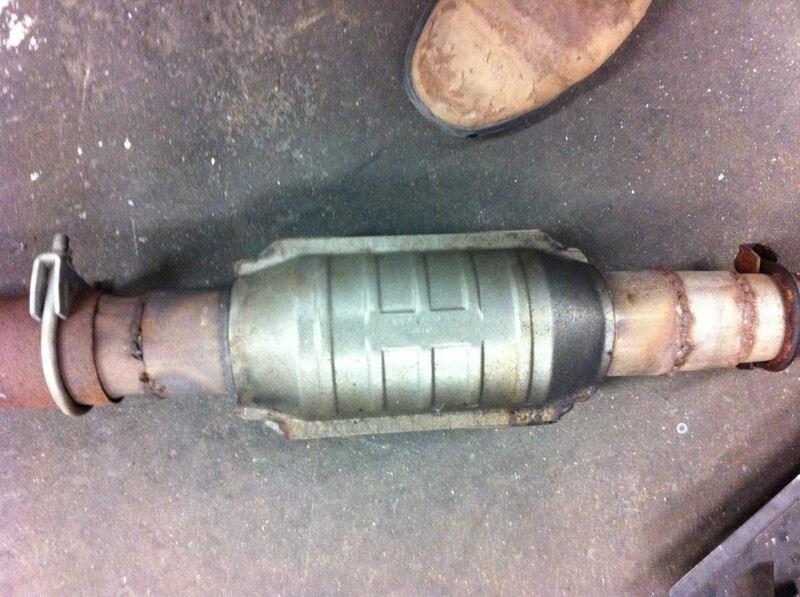 Pipe reduction/enlargement around the cat. 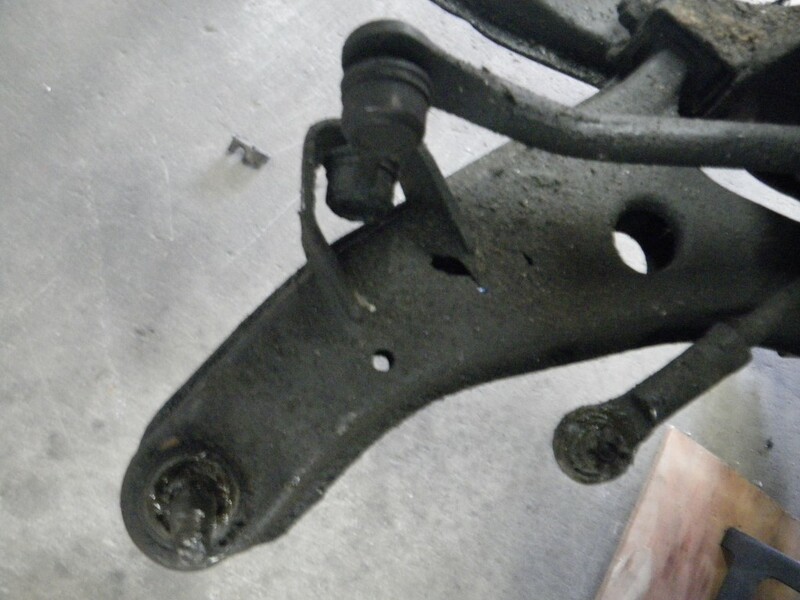 Control arms have extra lightening around the sway bar mounts. May as well replace the control arms since we’re in there, but we’ll keep these as spares. 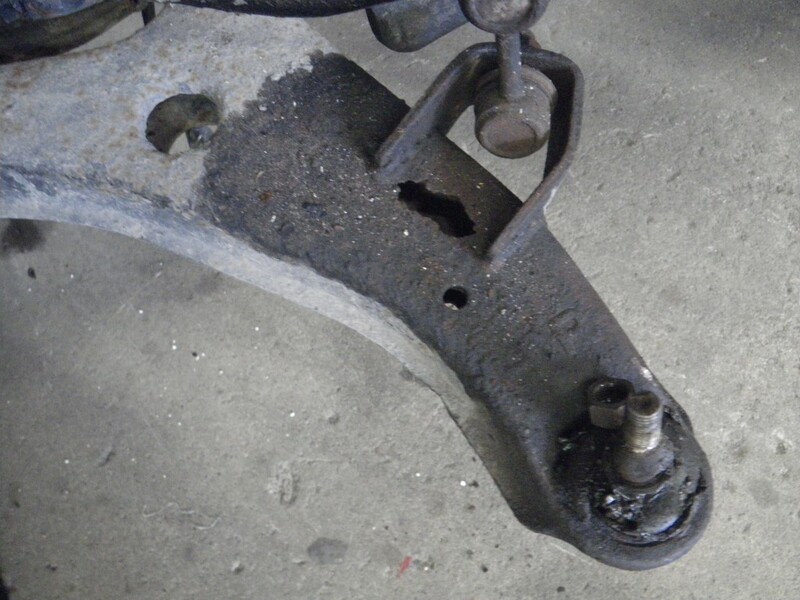 Those ball joints were on tight! The car in its current state. Looks kinda cool like this. 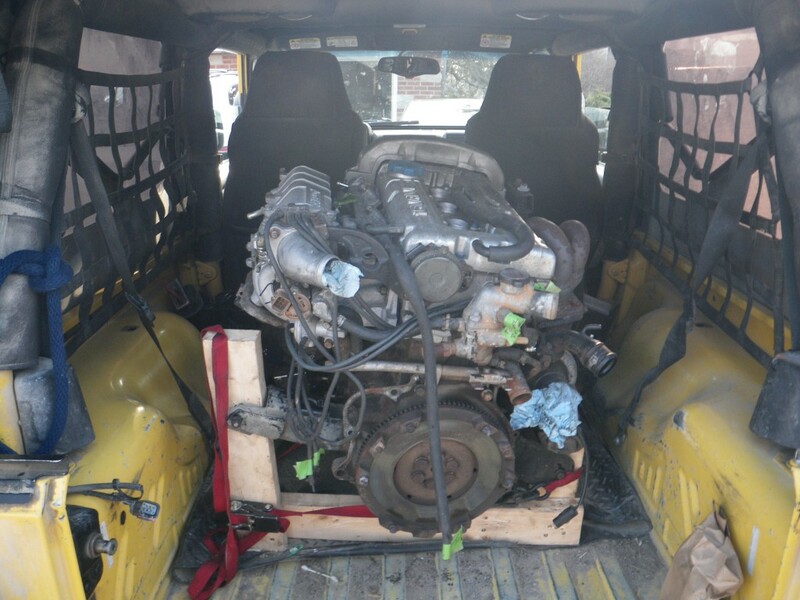 The motor in it’s current home – the back of the Jeep outside the coffee shop. Next stop, Rainbow Motors! Clutch needs replacing since we’re in there anyhow, although the one we have will also be saved as a spare. Next week will be pretty slow for updates because everyone will be at Lanark Highlands Forest Rally – http://lhfr.ca/ – including you, right? We’ll get back at it the week following but we should have the shopping list ready to share – and cry over – plus potentially some new cage work next week and maybe a motor update, so stay tuned! Build Diary – 6. The week we coast. Build Post – 5. Milestone achieved!